Meditation is all about helping you relax so that your DNA can unwind to activate your innate abilities stored within your holographic DNA. DNA contains tiny scalar wave antennas which through sound, vibration, and thought can open micro wormholes into other dimensions. When you meditate your body is able to tune into these parallel realities and higher frequencies and bring about a state of inner transformation, manifestation, and divine energy. The neo device also opens up stargates through its DNA crystalline matrix found within the core of the device. 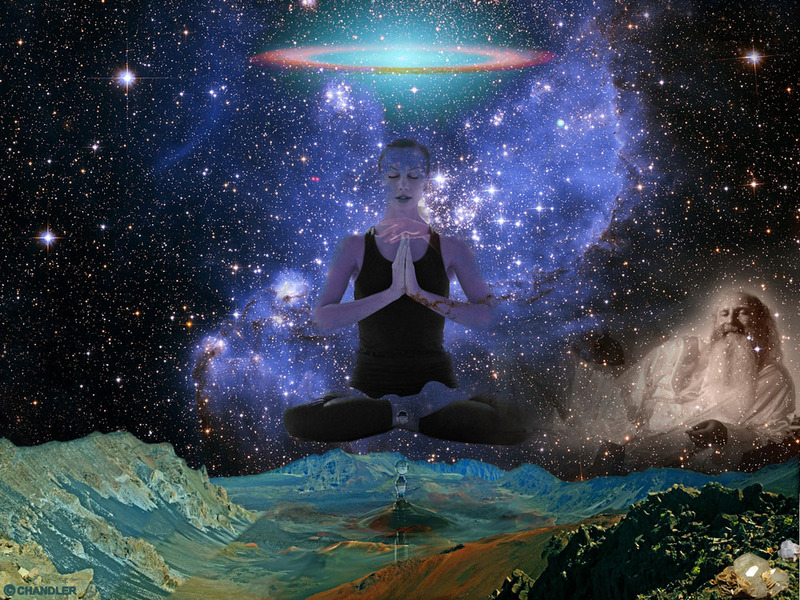 The universe is a life form teaming with consciousness which is influenced by consciousness. These are simply your thought formations, for the very act of creation began with a simple thought. This is why if you meditate on good thoughts your mind, body, and spirit will grow in light and love which ever expands in consciousness. 5. Subliminals and Hypnosis – such as found in a mp3 file or on YouTube. Wouldn’t you like to learn how do you meditate? If so it can be as simple focusing on your breath and clearing your mind which is known as mindfulness meditation. You may want to induce a trance like state by repeating a mantra, listening to repetitive music such as a gong, or staring at a candle flame. Meditation can also involve movement like Tai Chi, Chi Kung, or walking a labyrinth. Or you may want to try a guided meditation such as Neo Meditations. Meditation improves concentration, stabilizes mood swings and emotions, enhances your health, and brings about a deeper knowledge of yourself. When the mind is able to relax; our white blood cell count increases which fights against infections and also reduces pain. Meditation can help those with chronic health problems by enhancing social, emotional, mental and physical wellbeing. As you can see there are many meditation methods and benefits for people of all ages, and demographics. Happy Travels! Get you Neo Meditation device now by visiting.